When the Honorable Minister of Finance, Mrs Kemi Adeosun, in Washington during a discussion on the importance of addressing infrastructure gaps in developing countries at the World Bank accused the western powers of being a stumbling block to Nigeria’s plan to improve power output through the use of coal, many took the statement on its face value. Adeosun had insisted that improving power supply was the corner-stone of the current administration’s goal towards economic development, yet finds it difficult to get support from the western community. When a deeper dive into the deconstruction of the weight of the conscious economic underdevelopment of Africa perpetrated by some external forces, with Nigeria fully caught in the web is x-rayed, only more pain would be felt in the game plan of the heart-wrecking mastermind of some international conspirators. The weight of our challenges and the complexity of the consequential stress across sectors today, can hardly be resolved by mere UN talk-shops, World Bank meetings and other international economic summits, but concrete action, including fast release of Nigeria’s stolen funds given to our friends to hide in their banks. When Walter Rodney in his book, How Europe Underdeveloped Africa, insisted that a combination of power politics and economic exploitation of Africa by Europeans led to the poor state of African political and economic development evident in the late 20th century, this did not go down well with their local agents, who pound their yams with sizeable sacks hanging underneath their robes. The man, Rodney had determined that the only path to true human development and liberation for the majority of the people was through the transformation of their own lives in a struggle to replace and reshape the neo-colonialists government that dominated the society and prescribed their existence. While we recall various predictions of how former President Goodluck Jonathan was said to be the last president of a united Nigeria, and how Nigeria would surely disintegrate in the year 2015 by some western ‘prophets’ with former American Ambassador to Nigeria, Mr. John Campbell seemingly the most interesting, time has come for those of us actually wearing the shoes to know where the pain points are and when we actually have a headache. Professor Adebowale Ibidapo Adefuye actually took on the former US envoy, John Campbell and called him, ‘a prophet of doom’. Typical of our media ideologues, sensational and alarmist headlines and the hurry to break the scoop, Bloomberg, recently went to the market with a story on the under-capitalisation of some banks in Nigeria, with two declared almost insolvent. Only a few wise Nigerians, received that story with caution and a large dose of scepticism. This financial online platform, had given credit to two staff of Dubai’s Arqaam Capital Limited, Jaap Meijer and Tarek Sleiman, who were said to have emailed the report. For some public opinion analysts and indigenous financial experts, this came like an external examiner who did not see a student’s course curriculum, did not get involved in the lectures, did not supervise the examination, but chose to dabble in to challenge the scoring of the exam paper by the qualified teacher, who taught the subject. Central Bank of Nigeria (CBN), the regulator of the Nigerian financial services establishments got the shock of their life by the Dubai infiltration. The apex bank quickly rose in defense of the country’s financial independence, speedily cross-checked records, files and the last submitted financial reports of these banks in its possession and had to embark on a series of meetings to dispel the threat and its overwhelming spill-over in the sector and among simple-minded Nigerians. The Central Bank of Nigeria (CBN), has firmly and unequivocally said that Nigerian banks have very strong capital buffers to weather the country’s economic crisis. Director of Banking Supervision, CBN, Tokunbo Martins, said this at a press conference after a meeting with the heads of the country’s banks. She also assured that supply of foreign exchange for manufacturers would be improved. She emphasised that Nigeria, which is Africa’s biggest economy, is in recession due to a slump in vital oil revenues which has put pressure on the public finances and the currency, driving up the prices of imported goods. This timely clarification became necessary due to that report by a Dubai-based investment and brokerage firm, Arqaam Capital which indicated that seven Nigerian banks were undercapitalised to the tune of N1tn ($3.2bn) withtwo other banksapproaching insolvency. While an unconfirmed report still being investigated described the team from Aqaam Capital as financial undertakers who have their left eyes focused on our government’s body language towards the sale of some nation’s assets, it is also being speculated that they have pushed a button to grade the roads for their principals who have hidden interest incubated for some Nigerian collaborators. It is possible that their kite-fly against some Nigerian Banks, is a very suspicious move aimed at blocking some competition, should the federal government make-up its mind. The events of the last few days are actually bizarre. The spokesman for First Bank, Mr. Babatunde Lasaki, said, “First Bank is not undercapitalised. We are still within the industry regulatory threshold. This is their opinion. Our position has been published in our half-year report; it is not the one from an investment bank or a speculative reporter. Our Q3 report will soon be published. First City Monument Bank (FCMB) has also confirmed that the Bank is fully capitalised and it’s current CAR (capital adequacy ratio), adequately meets the basic requirement of the Central Bank of Nigeria (CBN).Contrary to the claim of the Dubai firm, FCMB has actually expanded its operations this year by opening several new branches. Similarly, a top official of Skye Bank, who spoke on condition of anonymity, said the bank was not close to being insolvent as alleged by Arqaam Capital. The source said the Central Bank of Nigeria had issued a statement, stating that the bank was not distressed. To create a capital buffer, Sterling Bank is planning to issue a N27bn bond and “if the interest rate looks better, we will do it this year,” the Sterling Bank Chief Financial Officer, Abubakar Suleiman even told Bloomberg. 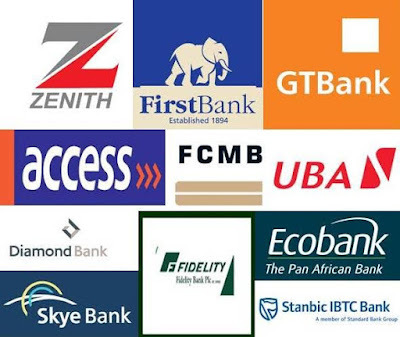 While the Nigerian banks cannot be insulated from the tension of full implementation of the TSA policy, the slump in vital oil revenues which has put pressure on the public finances and the currency, driving up the prices of imported goods, the forex headaches and the global economic slow-down, it must be agreed that the yardstick for the measurement of their liquidity, capital base and the depth of Non-Performing Loans, and the rating of capacity to weather the storm amidst the enlisted realities, is designed and decided by the Central Bank of Nigeria (CBN), which has not suspended any Bank’s licence, and has assured us that all our banks are safe. Our external examiners, descendants of our colonial masters, must be watched really carefully.They cannot be crying more than the bereaved.